Charter fishing and dolphin cruises are great family activities for Gulf Shores and Orange Beach vacationers, but sometimes you want to be the captain instead of a passenger. No worries, there are several boat rental options available, and we’ve combed through them all to let you know which are the best in the area to save you time and money on your next vacation. will even give you a boating tutorial before you hit the water, and a boating license is not required for rentals. If you’re looking to do some fishing, Wallace Boat Rentals has you covered there too. 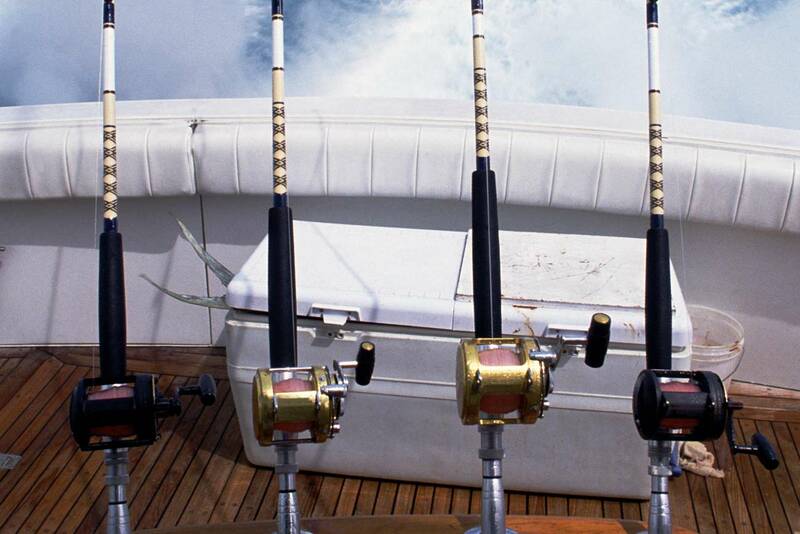 Rods and reels are available with your rental for $7 each. And if you have a dog that loves the water as much as you do, you can bring them along as well. Reservations are recommended, but not required. Overnight rentals are also available upon request. Legacy Boat Club in Orange Beach offers a membership plan specifically designed for vacationers that is a little pricier upfront, but can help you save big over the years. Legacy charges a one time initiation fee of $990, but once the initiation fee is paid members enjoy unlimited boat usage for only $690 per week. This is a great option for serious boaters that vacation on the Gulf Coast every year. The Legacy fleet consists of jet boats, deck boats, pontoon boats and waverunners. And Legacy employs a professional team of boat detailers and mechanics so the boats are always clean and ready to go when you are. There is even an option for members to purchase the boats from the club as new models are added. There are other rental options available in the area, but Wallace Boat Rentals and Legacy Boat Club both offer some upside over the competition. Enjoy exploring the waterways and back bays surrounding Gulf Shores and Orange Beach, and if you’re getting ready to take your summer vacation be sure to check out our post on tips for dodging traffic on your way to the beach.